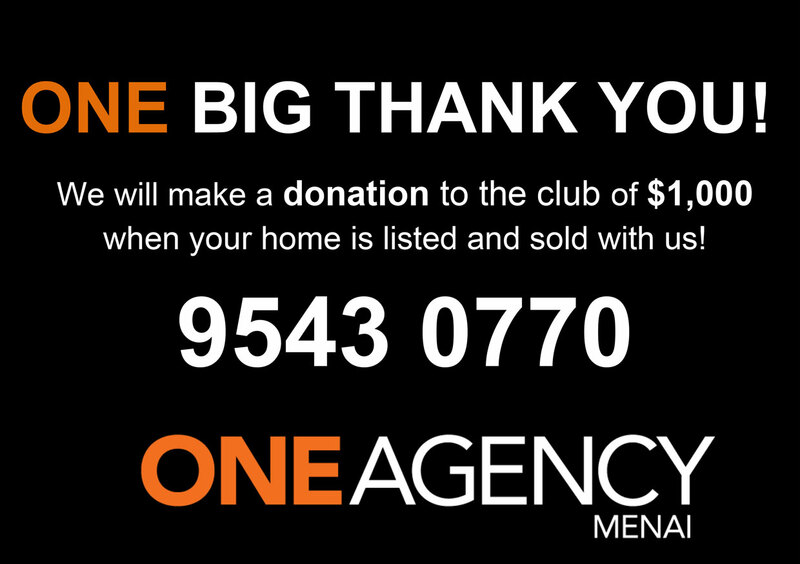 Welcome to ONEAGENCY MENAI The Aquinas Colts would like to acknowledge the support from our major sponsor ONEAGENCY MENAI Each week we will be listing a ONEAGENCY MENAI property of the week. Click on the link in NEWS and INFO to see the posting. All Colts teams who are playing at Blaxland Oval this weekend, please check the BBQ and Canteen Roster for when your team is allocated to help. Teams are required to supply a minimum of 4 volunteers. 2 for BBQ and 2 for Canteen. Please have your selected team volunteers ready to help 1 Hour prior to your game. click on this link to see the draw. Next meeting to be held on Wednesday 8th March at 7:30pm at the clubhouse. All are welcome.